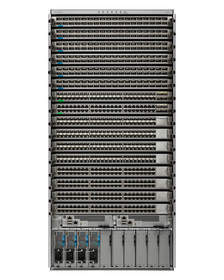 LAS VEGAS, NV--(Marketwired - Mar 24, 2014) - Cisco (NASDAQ: CSCO) today continued its rapid pace of Application Centric Infrastructure (ACI) innovation by introducing the new Cisco Nexus 9504 and Nexus 9516 switches to the Nexus 9000 portfolio®. The centralized policy-driven automation of the Cisco Application Policy Infrastructure Controller (APIC), application profiles and Nexus 9000 switches combine to help organizations build highly secure cloud networks and hybrid clouds. Cisco also announced an addition to the Nexus 3000 family: the new Nexus 3164Q switch designed for the demanding workloads of massively scalable data centers (MSDC) and big data. Building on the programmability offerings of the Cisco 9000 portfolio, the Nexus 3164Q supports widest range of automation tools for Cloud providers including Linux Container support, XML, JSON, Puppet/Chef, Python, and OpenStack. Cisco Nexus 3000 switches power eight of the 10 leading cloud providers' networks covering the majority of their footprint. 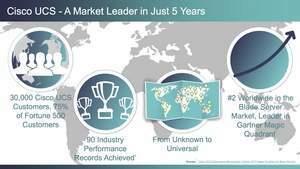 The announcements come as Cisco celebrates the fifth anniversary of its highly successful Unified Computing System (UCS)™. According to the Cisco Global Cloud Index, nearly two-thirds of all workloads will be processed in the cloud by 2017, and over two-thirds of all data center traffic will come from the cloud. Companies building enterprise private clouds, public clouds and hybrid clouds need policy-based automation to optimize their cloud deployments and gain the most efficiency. ACI is the first data center and cloud solution to offer full network automation, visibility, security at scale, and integrated management of both physical and virtual networked IT resources, all built around the needs of applications. 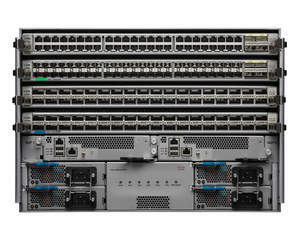 Together with the Cisco Nexus 9508, the Cisco Nexus 9504 and Nexus 9516 switches provide the industry's most scalable, programmable, energy-efficient and high-performance data center switch portfolio, designed to address cloud, big data, and complex applications. Independent testing by Miercom demonstrated that the Nexus 9500 series platform provides industry-leading performance, density, and reliability. "Applications such as high performance computing, high frequency trading, Big Data, and cloud computing place higher demands on network infrastructure," said Rob Smithers, CEO of Miercom. "For those networks, high port density, high throughput, low latency, low jitter, and high performance consistency are critical and must be rigorously tested. The Nexus 9500 family has raised the bar in the industry by scoring best overall in benchmark tests, and by demonstrating massive scalability. The Cisco Nexus 9516 proved in test not to drop a single packet at line rate with the largest scale 576 x 40GE review conducted in the industry." With 576 wire-speed 40 Gigabit Ethernet ports and 60 Tbps throughput, the Nexus 9516 is the industry's highest density wire rate switch, removing barriers to scale and simplifying network design. The Nexus 9516 was selected as a finalist in the data center category for a 2014 Best of Interop award.